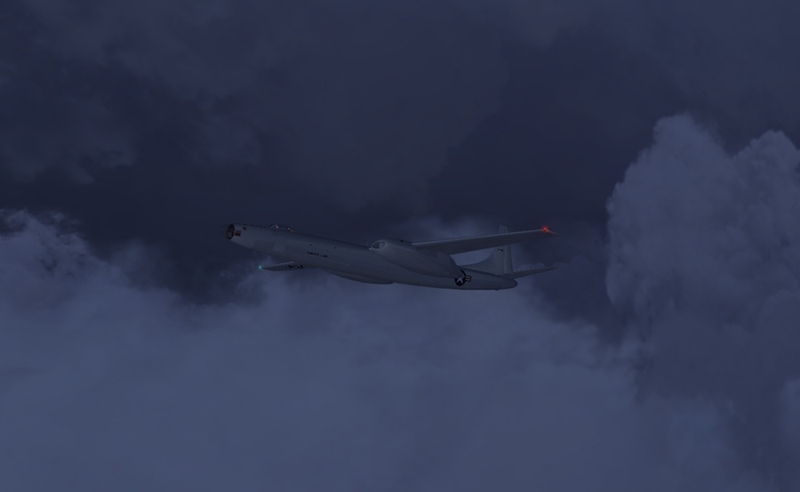 Our secret flight across Siberia started off with a bang as I was clipped with a SAM missile and was forced down shortly after the air to air photo was taken. Hope the others made it in okay. The rest of us made it in okay. Never did see any sign of that SAM launcher. Yep! we all made it. Moses is more than likely looking for a Pep Boys or any parts store in order to get back in the sky. During the local chatter between our plane I head some mention about fuel, in some cases the pilots were running a little short. With a long flight showing up in the next few days I sure hope they can get any problems corrected before this flight. Word for the wise. If you've got a long flight ahead of you, don't go with a short ranged plane. 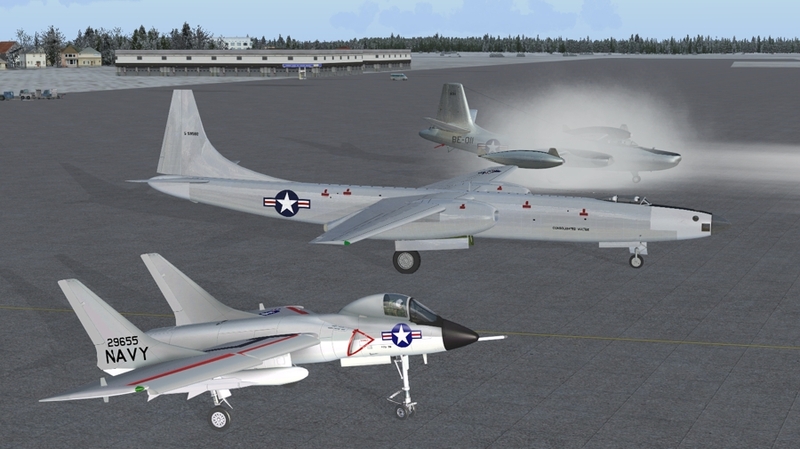 Don't expect a F4D Skyray to go over 800 miles non-stop. Now that the public service announcement is over, we flew a 800+ mile leg last night to UEST. 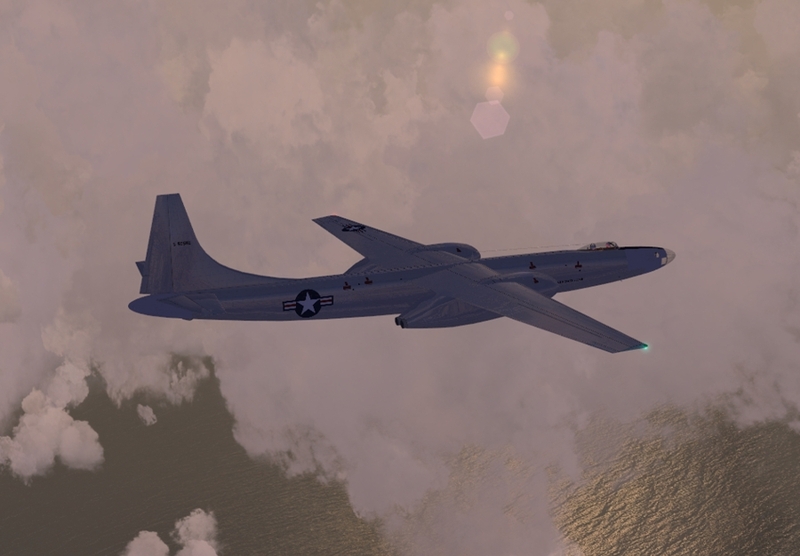 After a bad experience involving the above mentioned Skyray and a Russian "KC-Bear", I had to finish the flight in the P-80. No further issues on my part thankfully. The ol' Shooting Star may be a bit slow, but it does have long legs and is a fairly easy flyer. The pics are kind of dark (and in reverse order). 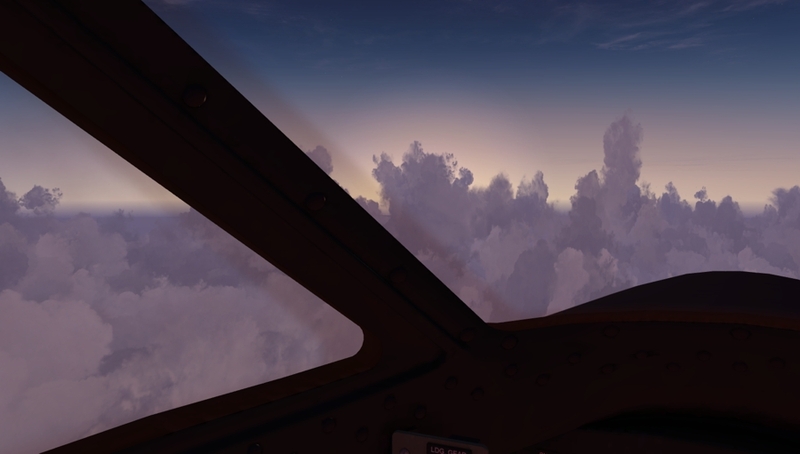 It seems like the farther west we fly, the earlier in the morning it gets. I got to watch the sun set in the south and the moon rise in the NW on this leg. It sure was one of those flights that are crazy, and kept you busy at all times! We left UHMP and headed for Tiksi UEST, then all the problem began to drive me a little more crazier than usual. Kept having problem with the speed control one minute I was over speeding and the next thing I was doing speed wise was around one 100 kts. After playing with this thing I shut off the speed control, and by golly things kind of return to normal. And as usual some of the instruments were going all over the place, but this time was able to keep the C-45 under control. With all the things going on with the plane I sure thought that we just many be would have some nice folks waiting for us to land, Thinking KGB! Hehe, no welcome committee showed up hehe we are just some small fish and not to worry about some crazy "Yank" touring Siberia! Hehe see you all later! Note: any screw ups in the writing of this note blame it on pilot and no sleep. A little late on adding something to this thread. But, Rob and I had a nice flight from Yakutek to Neryungri now please don't ask me to pronounce them I am just a poor Yankee who has a heck of a time to speak English. Hehe, of course you believe that. Now you have at one time or another had to land your plane in a cross wind, but in my usual way of screwing up I tried to land across the runway and ended up in the brushes. My excuse is that I fell asleep and I am going to stand behind that. Just some minor damage to the C-45 and the local guru here said it would be ready to fly this afternoon. No pictures of this flight, but here are two from a pervious Flight. A little more brew my friend. Edit: the darn picture didn't come thru, darn Russian weather. 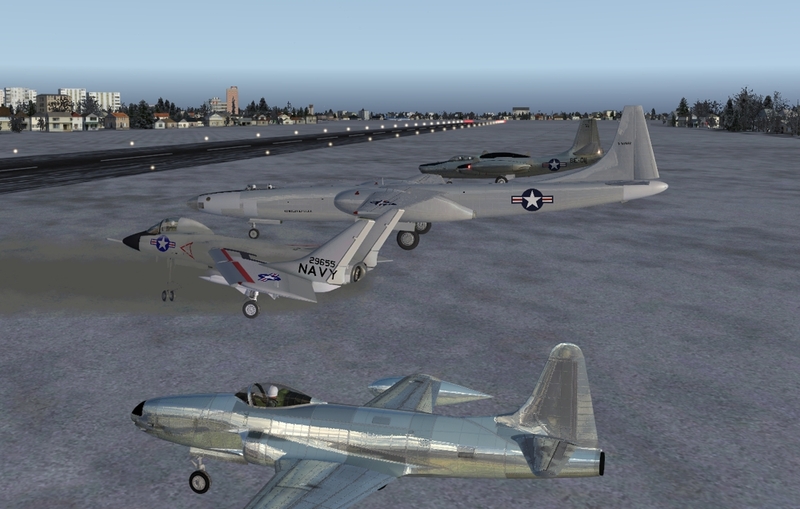 Had another P-80 show up for the flight. I spotted this one nosing about. I think Taco's flight crew wanted to shoot him down. Early jets in fine form; Taco, Moses03, srgalahad and MM. All times are GMT -8. The time now is 08:05.